Toy’s Delight is one of the most whimsical tea sets in my collection. Hubby purchased it in Germany during his last trip there as an early Christmas gift for me. I absolutely adore the fluted saucer and salad plate. The cup has has little toy motifs and snowflakes sprinkled around it. 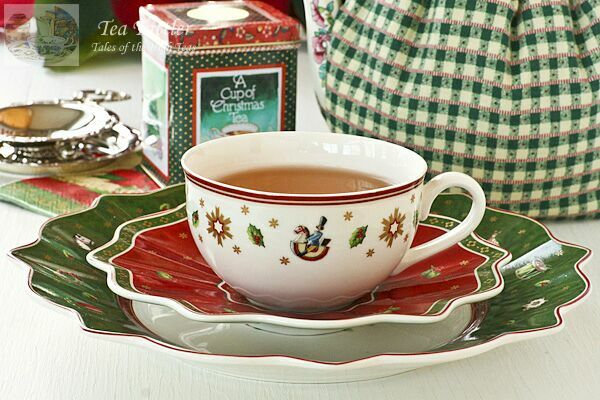 Holly leaves, berries, and snowflakes decorate the red saucer which is trimmed with a green border. 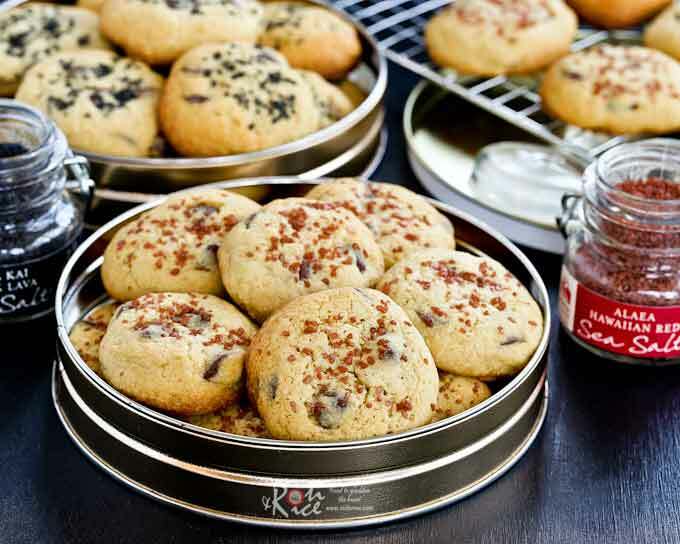 The salad or dessert plate has a large green border sprinkled with the same toy motifs and snowflakes as the cup. It has an inner band of red that matches the saucer. 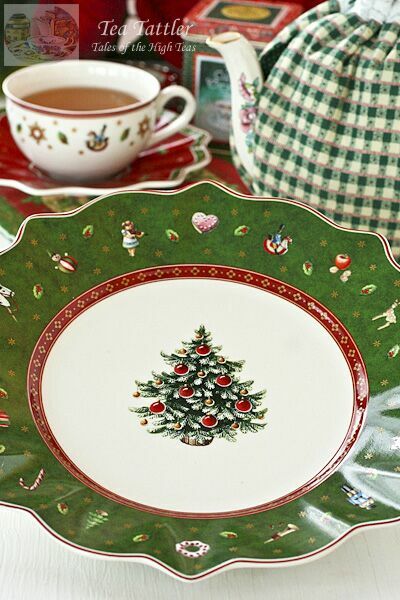 In the center of the plate is a traditional Christmas tree replete with ornaments. 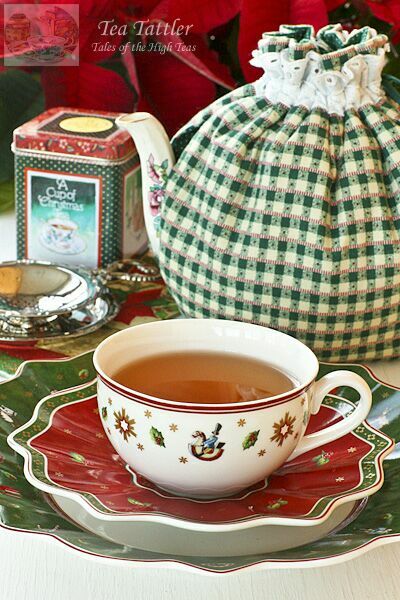 This tea set is aptly named Toy’s Delight and one can enjoy Christmas tea while watching The Nutcracker Ballet. What a pretty and whimsical set 🙂 I sadly browsed a Villeroy and Boch boutique in Frankfurt recently. Sad because I saw many things that caused pangs of desire, but I had no room left to pack any delicate breakables….